There's something delicious and primal about a fragrant hotpot bubbling on the stove on a cold winter's day – almost as good as sitting down to a big bowl of whatever is in that pot when the time's right. The great thing about most of the recipes in this paleo cookbook is that once your preparation is out of the way, your job is virtually done. The rest is just a matter of waiting for the flavours to slowly mingle over a low heat while you turn your mind to something else. Indian, Brazilian, Caribbean, Italian, Spanish, Honduran, Greek, Cuban – there's a wide variety of flavours in this book to tempt your taste buds and keep your winter dinner table an interesting and exciting place for friends and family alike. Most of these recipes are uncomplicated. In some cases, it's just a matter of throwing all your ingredients into a pot and waiting for them to cook. Voila! 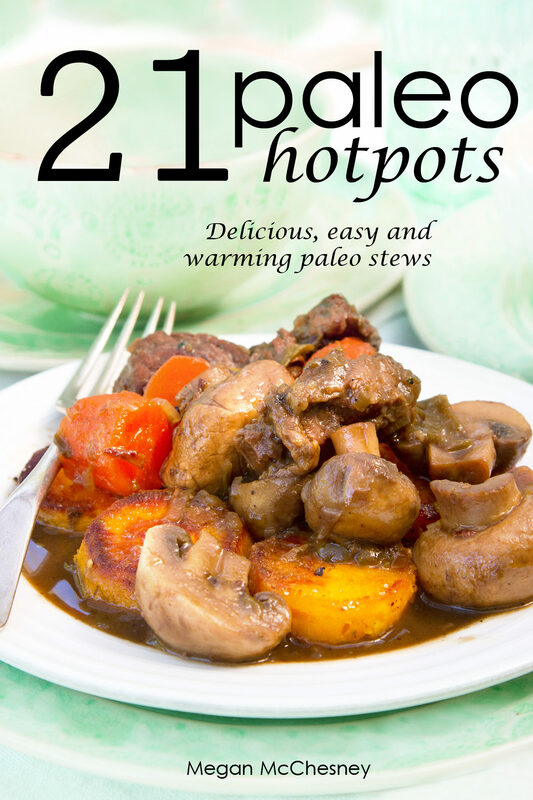 Recipes in 21 Paleo Hotpots are: Easy Tuscan Stew; Beef and Mushroom Ragout; Fragrant Greek Stew; Spanish Mushroom Stew with Beef; Insanely Tasty Beef Rib Stew; Beef and Prune Casserole with Lemon; Cuban Chicken Stew; Hunter's Chicken; Caribbean Chicken and Onion Stew; Honey Mustard Chicken Stew; Honduran Chicken and Lime Stew; Chicken and Pork Hotpot; Pork, Fennel and Orange Stew; Pork, Apple and Sage Stew; Barbecue Pork; South Indian-style Curry; Orange Lamb Neck Stew; Paprika Lamb Chops; Smoked Fish Stew with Kaffir Lime; Brazilian Fish Stew; Fish and Pepper Stew.